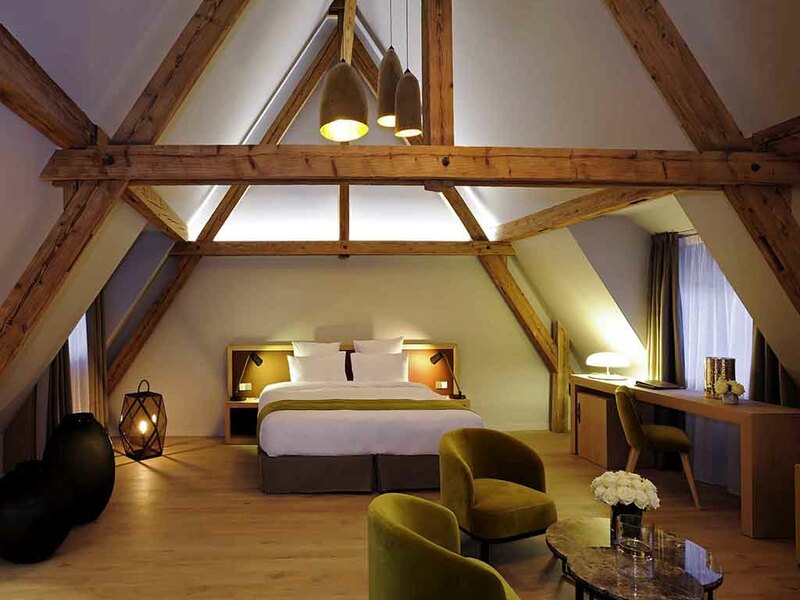 Located at the heart of the vineyards of Alsace on the famous Wine Route, the 5 Terres Hôtel & Spa MGallery by Sofitel hotel has brought the 17th-century building back to life by blending old-fashioned charm and techniques with modern and contemporary com fort and elegance. Take a moment to relax in one our 27 carefully decorated rooms and discover famous regional wines in our Wine Bar or as you relax in our Spa. Located in city centers or popular tourist areas, the hotels in the collection are all in exceptional locations, offering guests a unique trip. Relax for a moment in our Wine Bar, bathed in light from the glass roof. Enjoy subtle flavors from a selection of prized local, organic wines, or sample the region's finest or biodynamic wines. Новый, атмосферный отель в винном регионе.